Since my early teens, I’ve felt strongly about Shakespeare—about the value of studying and memorizing significant passages by the greatest writer who ever lived—but it wasn’t until I became a father that I figured out how to share my passion with the people I loved. One day, when my daughter Olivia was six years old, she came home from first grade spouting a line of Shakespeare: “I know a bank where the wild thyme grows.” Her first grade teacher was an English woman who took a particular interest in the hero of her youth, and she had decided to pass the torch on to the younger generation. When I heard my daughter happily quoting this line from A Midsummer Night’s Dream, a light went off in my head. From that day on, I set up a routine. My daughter and I would spend one hour on Saturday and one hour on Sunday memorizing my favorite speeches from Shakespeare’s plays. We started with short accessible passages from the comedies and, gradually over time, increased the length and complexity of the passages. To my delight, my daughter took to it immediately, and it turned out that these hours spent together learning everything from As You Like It to King Lear were some of the best family times of our lives. For two hours each week, we sat next to each other totally engaged in something we both loved, and we had enormous fun doing it. About two years ago, it occurred to me that other parents and teachers might enjoy hearing about our family’s adventures with Shakespeare, and I sat down and started writing this book. 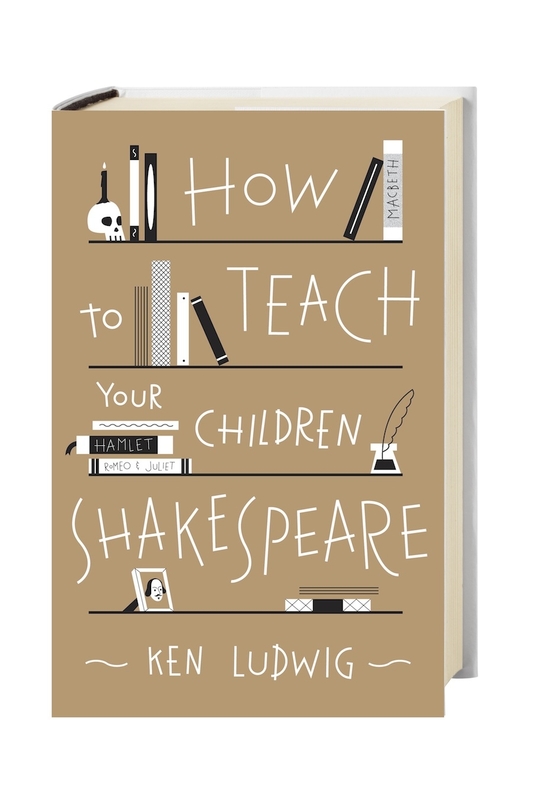 What I have tried to do in How To Teach Your Children Shakespeare – which will be published in early June by Random House – is offer to parents and educators the techniques and strategies I developed over the years for my own children. I realized early on in this process that Shakespeare is a lot like a foreign language. Some of his words are unknown to us, even as adults; Shakespeare’s sentence structure can sounds odd to our modern ears; and Shakespeare is constantly speaking in complex metaphors that can sometimes be difficult to understand. So what I did for my kids – as I do in the book – was teach them how to understand every word in the Shakespeare passage being studied, then memorize the passage so that their knowledge of Shakespeare became fluent, the way a foreign language can become fluent. In total, the book presents the first 25 passages that I taught my kids, ordered into a specific sequence to make learning them as easy as possible. And as each passage is discussed, from A Midsummer Night’s Dream to The Tempest (with a lot more plays in between), I talk about the stories, the characters and the meanings of the works so that, ultimately, the kids get the kind of knowledge of Shakespeare they’ll need to become great students, great thinkers, and great teachers. Pleading for a lovers fee. The kids had a fantastic time. At the end, when their parents came in, they proudly recited what they’d learned from memory. Shakespeare triumphed again! 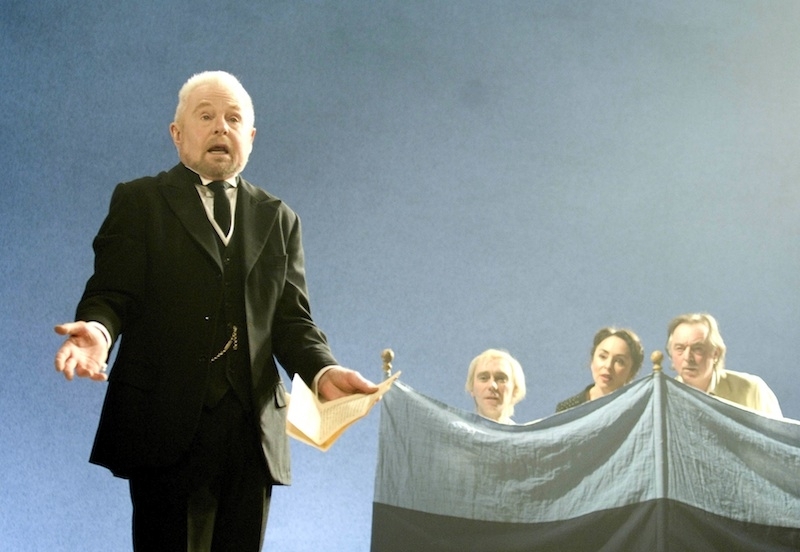 There is no doubt in my mind that knowing Shakespeare will make our children better citizens of the world. It will better prepare them for the joys, as well as the whips and scorns of time (as Hamlet says). It will introduce them to the rich world of literature, and, from there, to the universe of cultural references embedded in that literature. It will give them confidence. And it will, ultimately, by giving them Shakespeare’s perspective on the world, make them more moral human beings. To quote Hamlet again, it’s a consummation devoutly to be wished. Ken Ludwig is an author, theatre educator, and award-winning playwright of Lend Me a Tenor and Crazy for You. 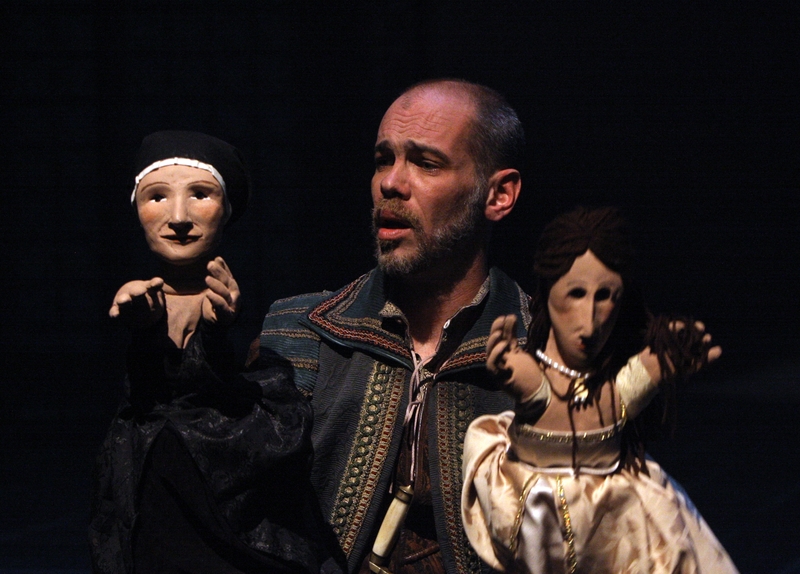 Ken will give the keynote address at our Conference for Teaching Shakespeare in the Elementary Classroom on June 24 (early bird registration discount ends June 3!). 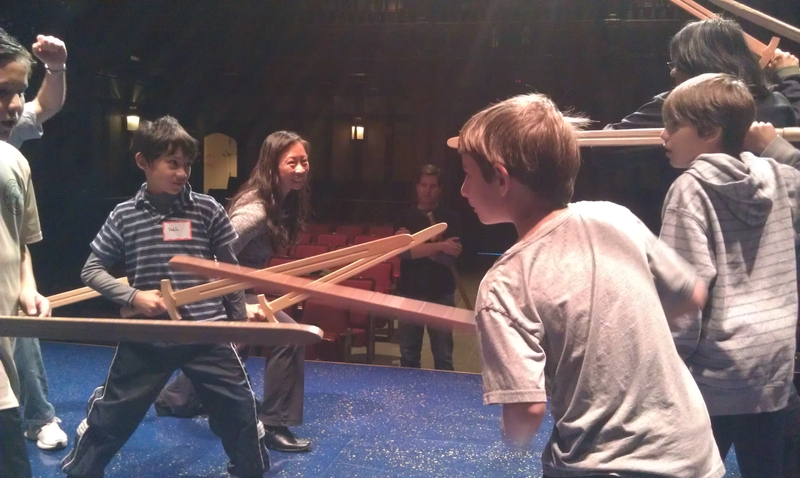 and a demonstration from How to Teach Your Children Shakespeare to be released June 11, 2013. Copies will be available for signing after the session. Find out more about his work and new book at www.kenludwig.com. Once a year, for a wonderful week, we throw open the doors of Folger Theatre and invite elementary children, grades three through six, to share Shakespeare. Our stage has been full of Puck, Oberon, Titania, Nick Bottom, Peter Quince, Romeo, Juliet, Macbeth, Lady Macbeth, Hamlet, King Lear and his daughters. These young students are a constant inspiration with their enthusiasm for Shakespeare’s language, their commitment to Shakespeare’s ideas, and their embodiment of Shakespeare’s stories in their performances. 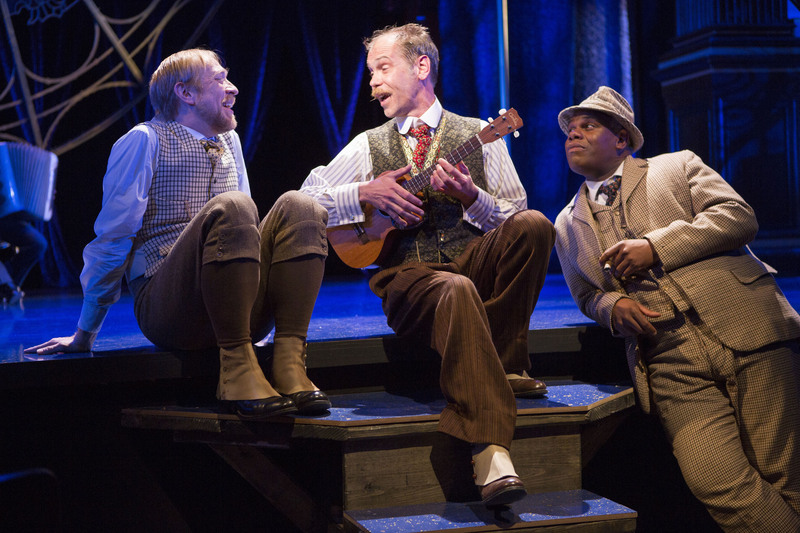 They embrace the experience of performing Shakespeare—getting the words in their mouths and making it their own. Students shared with us, the audience members, the sweetness of Romeo and Juliet falling in love and the pain of their loss when forbidden love was denied. 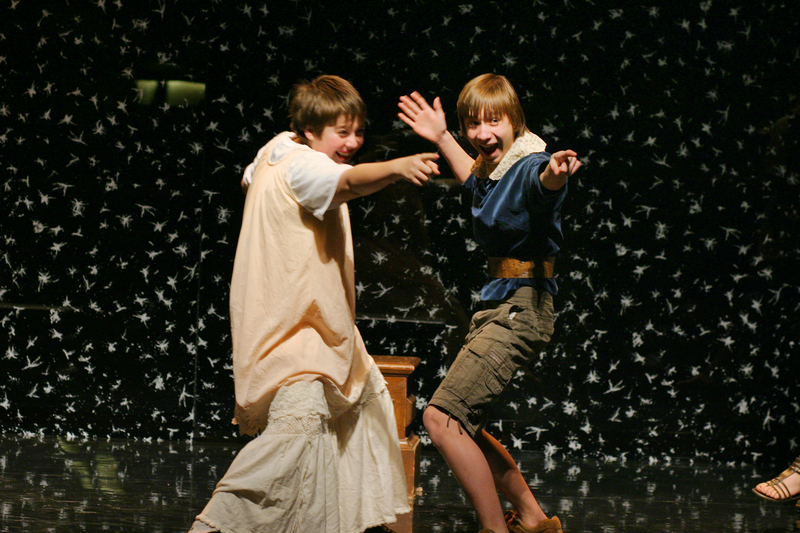 They shared the fun of Helena, Hermia, Demetrius, and Lysander searching for each other through the woods. They shared the tragedy of King Lear as he realizes his older daughters might have professed their love, but they don’t really love him. They shared the confusion of Hamlet as he tries to work through the chaos of his life. 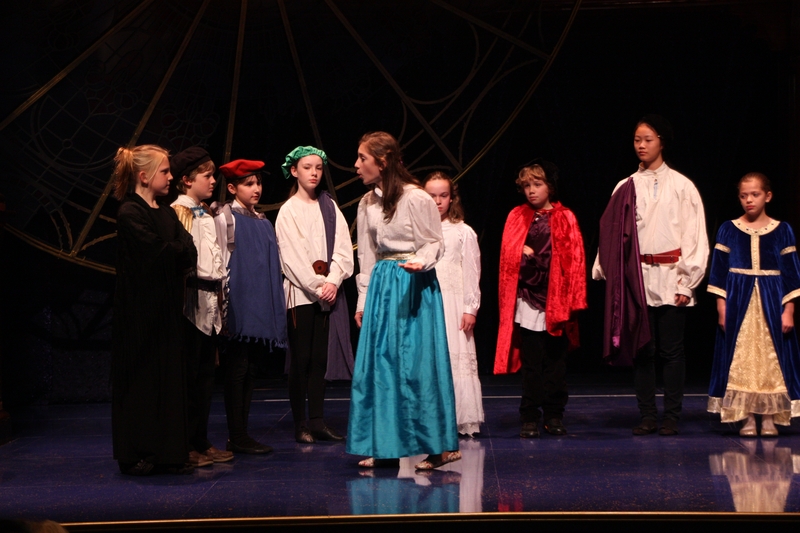 During this festival week, we see in action what we know so well: performing Shakespeare gives students the opportunity to use language in ways that are exciting and empowering. 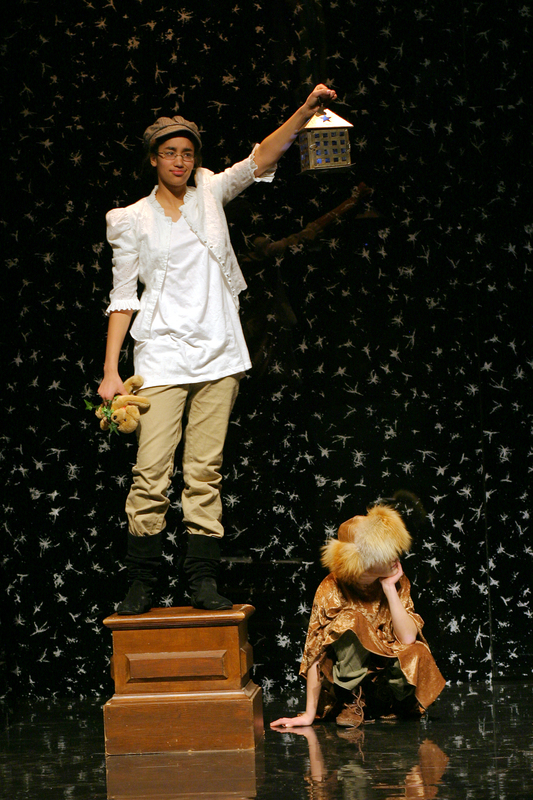 Children and Shakespeare: a winning combination! Back in 2011, the 400th anniversary year of the King James Bible, the Folger partnered with the Bodleian Library at the University of Oxford, with assistance from the Ransom Center at the University of Texas at Austin, to produce the NEH-funded exhibition and website Manifold Greatness: The Creation and Afterlife of the King James Bible. Ever since, a 14-panel Manifold Greatness exhibit, developed in partnership with the American Library Association, has been traveling to 40 libraries around the US that were awarded competitive, NEH-funded grants to host the exhibit and offer related public programs and outreach. 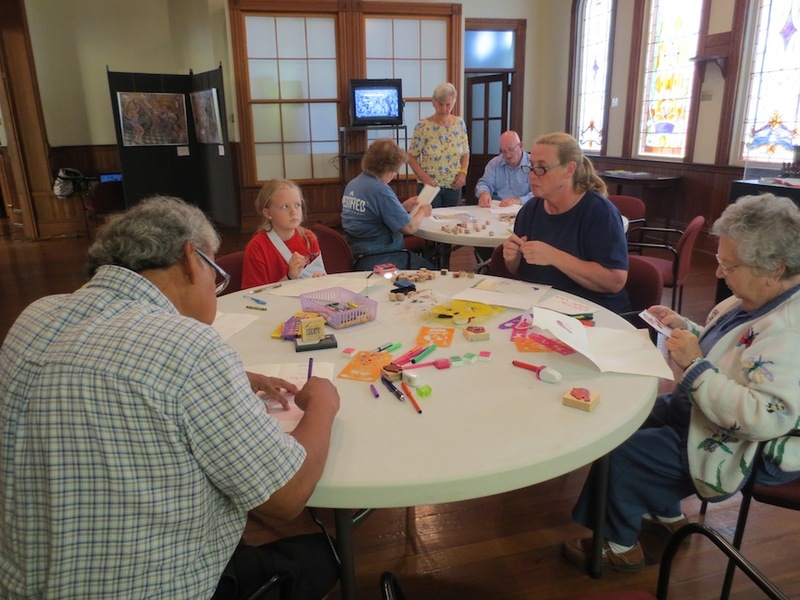 In this recent post from the Folger’s Manifold Greatness blog, Vickie Horst, manager of the Tifton-Tift County Public Library in Tifton, Georgia, gives a firsthand account of multi-generational learning at an April 2013 Manifold Greatness workshop entitled “Let’s Make a Quarto,” developed by a local retired educator. On April 25, 2013, some Tifton-Tift County library patrons got an opportunity to see how book production might have occurred in 1611. Jerry Walker, a retired educator with a lifelong interest in the arts and a highly skilled crafter, led a workshop that we titled “Let’s Make a Quarto: a type of book made in the Renaissance era.” The workshop was held in the museum that houses the Manifold Greatness exhibit, so anyone who had not seen the exhibit got the opportunity to see it then, as well as make their own little book. For more tips on quarto-making, ruff-making, pen-making, and ink-making, see our activities videos and accompanying PDFs on the Manifold Greatness website. You can also view the videos on our Manifold Greatness YouTube channel on this playlist. 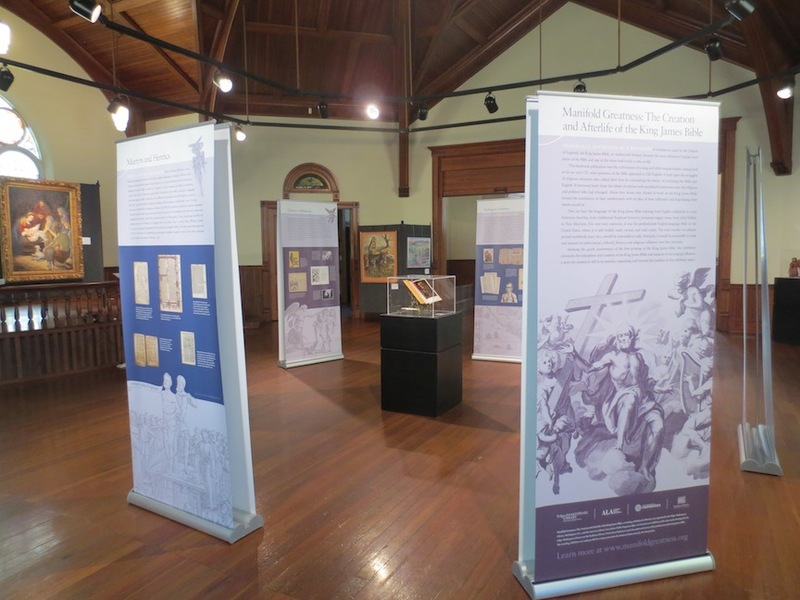 We invite you to learn more about the exhibition in Tifton and at other libraries and about the King James Bible on the Manifold Greatness blog, which will continue through mid-July of this year.